Bass have streamlined bodies with a large head and mouth. They have large silver scales and two dorsal fins; the front fin has 8-9 sharp spiny rays. Bass are commonly found at around 50cm in length with the largest recorded 103 cm. Bass is a demersal species found sub-tidally down to 100 m. They are widely distributed around the North East Atlantic and Mediterranean Sea. 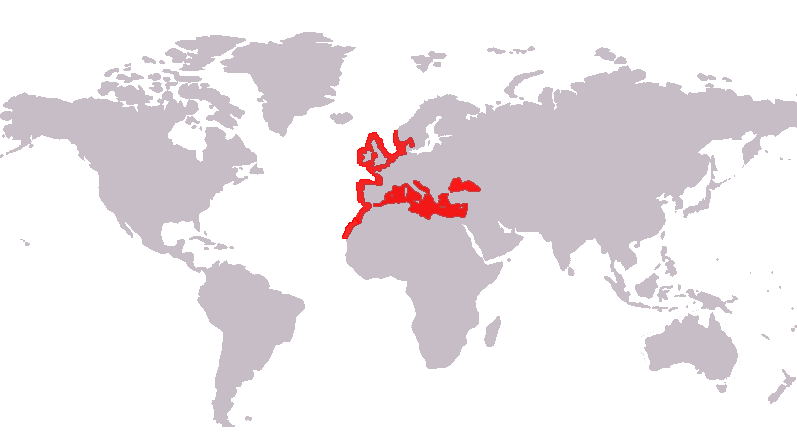 The species has been recorded around all UK coasts. Bass are able to tolerate a range of salinities as they occupy shallow waters, estuaries and out into deeper waters. Adults spend the winter in deeper water, shoal in early summer and move into coastal waters and estuaries. Young fish are known to school in shallow waters for at least one year before joining the adults and moving offshore in the winter. In recent years bass are being recorded further north, and this northward extension to their range could be to follow changes in sea temperature. Their distribution is thought to be highly affected by water temperature. 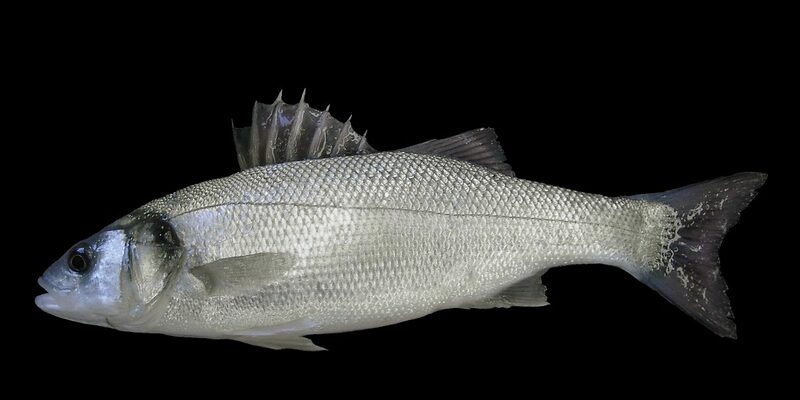 Bass mainly feed on shrimp and molluscs but are also a schooling predator of crustacea, squid and smaller fish including small herring and sandeels. They are an important part of food chains in estuaries and coastal waters. 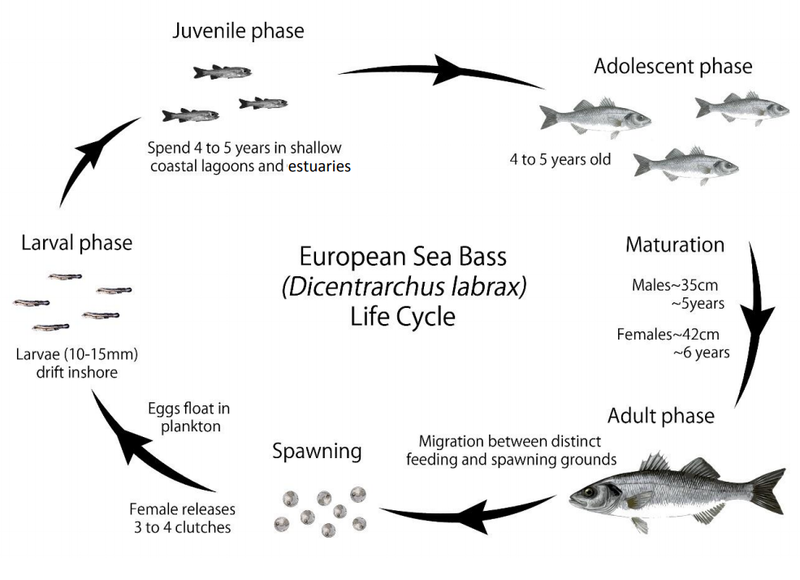 Illustration of the European sea bass Dicentrarchus labrax life cycle. Sexual maturity in Atlantic fish is reached at around 4-7 years (30-40cm) in males, and 5-8 years (36-46cm) in females. Adults move closer inshore into warmer waters to spawn from March to mid-June. Spawning occurs in batches, and eggs are pelagic. The length of time of embryo development depends on the water temperature but lasts around 3-4 days at 13-14°C, when eggs hatch and larvae drift inshore. Juvenile bass will remain in shallow inshore waters for 4-5 years. They then migrate between inshore spawning grounds and feeding grounds further offshore. Bass are a relatively slow growing species and it can take up to 7 years to reach MCRS (42 cm). They are consequently vulnerable to overfishing. It has a lifespan of up to 25 years. Bass is fished both commercially and recreationally within the District. It is an important commercial species as it provides a high value catch for many inshore fishers and one of the most important species for recreational fishers. Bass is caught from both shore and boat based fishing. Rods, lines and nets are used to catch bass from both shore and boat. Nets including gill nets are used throughout the District. They are set and left in the water for a period of time known as the ‘soak time’. 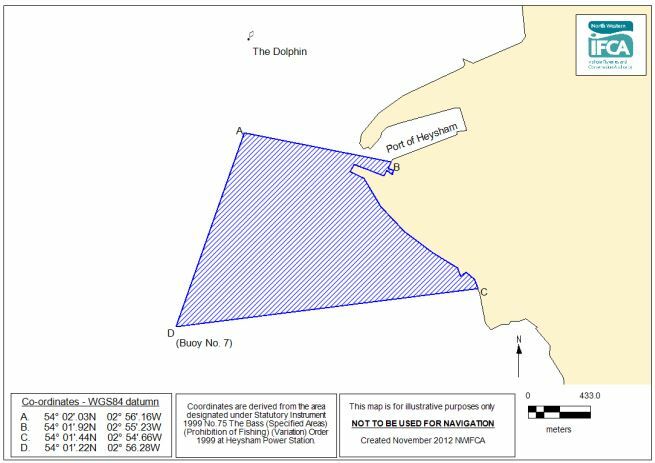 An area around Heysham Nuclear Power Station has been designated as a bass nursery area. All fishing activity for any species has been prohibited within this site to protect juvenile bass. Find out more at here. The Dee Estuary is also a bass nursery area. Restrictions apply to all tidal waters enclosed by a line drawn 213º true from Hilbre Point to Mostyn Quay from 31st May – 1st October. Fishing for bass from any vessel, as well as fishing for any species of sea-fish using sand-eels (ammodytidae) as bait, is prohibited during this time. Where commercial netting occurs in Marine Protected Areas it undergoes an assessment to ensure the activity does not cause risk to conservation features. HRAs carried out for netting in the District’s European Marine Sites can be found here. Due to the major issues around stock status and sustainability (see below), Defra and French government have funded research into bass populations, distributions and movement. Research undertaken by CEFAS and IFREMER has provided new data that could prove vital in our ability to conserve this species by improving our understanding, and protecting the most critical areas through specific spatial and temporal management. Find out more on the C-Bass blog. There is some evidence that stocks in NWIFCA District may be separate from English Channel and Southwest stocks. 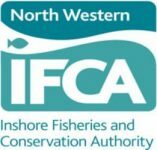 It is crucial to understand the linkages and NWIFCA has recently teamed up with CEFAS to bring the C-Bass project to the North West. The project aims to work with commercial and recreational fishing sectors to tag bass with data storage tags. These tags log information on movement and activity of bass to give us information on the distribution and activity of different populations.